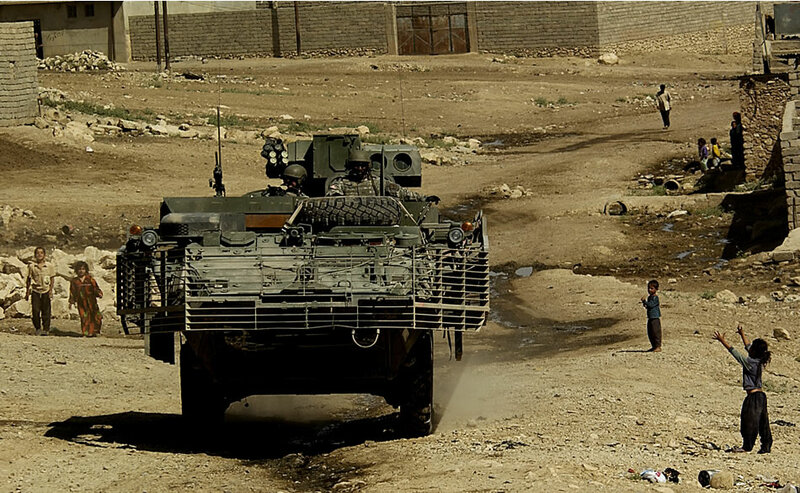 05/21/06 - Iraqi children run out to greet U.S. Army Soldiers returning to base in a Stryker armored vehicle after conducting a patrol in Badush west of Mosul, Iraq, June 16, 2006. The Soldiers are assigned to Bravo Company, 1st Battalion, 17th Infantry Regiment, 172nd Stryker Brigade Combat Team from Fort Wainwright, Alaska. DoD photo by Tech. Sgt. Jeremy T. Lock, U.S. Air Force.